CoVEX smart contract is based on the next-generation ERC223, where traders can trade and exchange cryptocurrencies, copy trade skills and compete with each other’s trades within their investment groups. In other words, we are taking social/copy trading, margin trading, and payment gateways to a transparent, highly secure and reliable way. The CoVEXtoken—which will be implemented on Ethereum Blockchain under ERC223 standards—will act as a revenue-generating cryptocurrency. It will allow the token holders to receive revenue in the form of transaction fees. 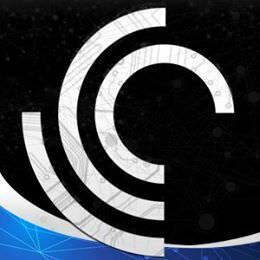 CoVEX tokens will be available for interested participants during the ICO that is set to run from May 2018. During the ICO, the total volume of 250,000,000-25,000,000*23% CoVEX coins will be released to interested coin holders. Ultimately, our platform will make trading accessible to everyone and improve the overall user experience. Our platform will transform the foundation of crypto markets such as start ups, incumbents, traders, consumers, and merchants into a viable ecosystem that boosts mass adoption of cryptocurrencies. To provide one stop trading platform where traders trade that offers the following services : cryptocurrency exchange , social trading , margin trading & lending , p2p loan , credit cards and payment gateway. COVEX places for bounty pool 5% of our total token supply. Total token supply is 250,000,000 Covex coin and total circuilating supply may vary on the actual token raise in our ICO , but still we will reward all the participants 5% token allocated for bounty pool. • Our bounty campaign will start 9th of April. • Stakes will be update 2-4days after end of each week. • We welcome NEWBIES RANK for DISCORD <> TELEGRAM and SOCIAL MEDIA CAMPAIGN ONLY. • Bounty Participants must be JR.Member and up. Jr member must have atleast 100activity to be accepted for other unmentioned campaign. Promote us in the forum by adding our Signature and Avatar in your profile, and earn CovexCoin as rewards for participating in signature campaign. 30% of the bounty pool to be allocated to the BitcoinTalk.org Signature campaign. 1: The stakes will be counted from the moment each user submits the participation form and is approved. After their approval, participants are not allowed to change their signatures until the end of the campaign. Random checks will be made and those who will be found doing this will be immediately disqualified. Pay special attention to the fact that the campaign ends exactly when the Token Sale finishes – even if that happens before schedule in case of reaching the full cap. 3: For the signature campaign you have to send 50 messages, at least, until ico is over. Posts in the off-topic threads will not get counted and spamming of all kinds will simply get the participant disqualified. (We will accept posts in the “Alternate cryptocurrencies” or “Trading Discussion” sections of the local forum. (for non-native speakers of english). 4: Participants are expected to make minimum 50 characters long posts, to be eligible for weekly stakes.If the member acquires a new rank, they should change the signature accordingly. 6: Upon completion of the CovexCoin ICO, the Covex bounty pool will be distributed among all campaign members considering the number of stakes each member has.Multiple accounts registration is forbidden. Checks will be made along the process and every multiple account will be delisted.  One twitter account per participant only.  You twitter account must have atleast 150 followers.  Each shared post related to COVEX will let you earn coin according to the followers you have. Twitter bounty campaign tokens will be distributed equally to all Twitter Bounty campaign participants according to the amount of stakes received. Stakes will be updated weekly Every Sunday. Submit/posts your reports on our BOUNTY THREAD.  One facebook account per participant only.  You Fb account must have atleast 300 Friends/followers. Facebook bounty campaign tokens will be distributed equally to all Fb Bounty campaign participants according to the amount of stakes received. Stakes will be updated weekly Every Sunday. Submit/posts your reports on our BOUNTY THREAD.  Members of the forum who is Jr.member rank above can participate.  Only original translation will be accepted.Don’t use Google translate or any translation services. Anyone we find out using fake translation will be disqualified.  Participants can register for only one translation.  Participants should create PDF Version of Whitepaper Translations, and post it on their medium account.  5 stakes per post in your local subforums. Note : Еach member should go through registration and wait for the approval. Please do not start working on you material without getting our approval first in order to avoid unpleasant situations.  The min. duration of your entry must 2mins.  Must be posted on your own channel in Youtube.  1 entry per participant.  We are into articles and blogs promotions that has a quality content. It must contain atleast 2000 printed characters/words.  The website that hosts an article must be accessible to unregistered users.  For articles/blogs it must contain images.  An article about COVEX Project must be written in English and translated into Chinese.  Articles&Blogs with fake views will be disqualified.  Only Original content will be accepted.  Spamming / posting in other subforums will not nbe tolerated.post deleted by forum administrators will not count. This campaign is limited only for 300 participants. Your Reddit has to be made into a subreddit related to blockchain technology, cryptocurrencies, finance,and trades. If not, your share will not be counted as valid and you will not receive any stake.  50 stake per post / 1 Reddit post per participant only atleast 1000 words.  1stake per upvote.Once you have published your reddit post. Note : We have the power to declined your application if content is unrelated and out of topic. This campaign is limited only for 1000 participants. Join our CoVEX Discord today and earn more Covex Coin. All payments will distributed after our ICO. Must stay on Discord chat till ico ends. Join our Telegram today and earn more Covex Coin. All payments will distributed after our ICO. 10 Stakes will be rewarded to all qualified and active telegram participants. We will check randomly our participants and anyone we find out break the rules ,their application will be forfeited. 3: Using bad language, spamming, advertising any other project to Covex community will not tolerate. 4: Only one account on telegram allowed. If we find you cheating , you’ll be disqualified.